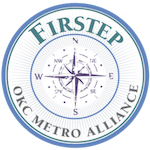 Our Recent News - Firstep - OKC Metro Alliance Inc.
Keep up with Firstep’s recent news! Join us for our inspiring spring benefit, BEANS AND CORNBREAD, May 9, 2019 at St. Luke’s United Methodist Church in Oklahoma City. By sponsoring the event, you or your company will have added benefits including co-branding opportunities. Your sponsorship ensures access for everyone who needs Firstep and the PIA for years to come. Our keynote speaker is Oklahoma Native Son and comedian Argus Hamilton. Meet the funniest topical comedian in America, the man Robin Williams once called “the Will Rogers of the Baby Boom.” Argus Hamilton’s daily column of jokes on the news, now carried in over 100 newspapers across the United States, is also read and heard by millions on the Internet and on radio stations across the country. 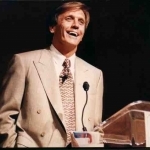 You can read Argus Hamilton’s outrageously funny humor column on the Internet Tuesday through Friday and Sunday — at www.argushamilton.com/today.htm. Featured on the event program and display advertising at event. Logo featured on website for one year and on event invitations and materials. Table display and promotional materials distributed at event. Invitation to fall donor recognition event. Invitation to spring art sale. Acknowledge as a sponsor in all media materials about the event including media advisories. Two (2) reserved tables for 16. Featured on the event program and display advertising at event. Featured in newspaper advertising for event. Table display and promotional materials distributed at event. Invitation to spring art sale. Logo featured on website for one year and on invitations and event materials. Invitation to fall donor recognition event. Two (2) reserved tables for 16. Featured in newspaper advertising for event. Table display and promotional materials distributed at event. Invitation to spring art sale. Featured on the event program and display advertising at event. Invitation to fall donor recognition event. Reserved table for 8. Featured on web site and annual report. Featured on the event program. Invitation to fall donor recognition event. Invitation to spring art sale. Reserved shared table for 4. Featured on web site and annual report. Featured on the event program. Invitation to all donor recognition event. Invitation to spring art sale. Reserved shared table for 2.